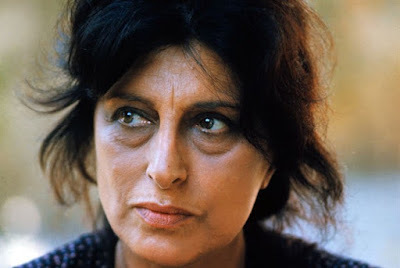 TrustMovies: The magnificent Magnani is back--in 24 films-- & the Film Society of Lincoln Center's got her! The magnificent Magnani is back--in 24 films-- & the Film Society of Lincoln Center's got her! The more TrustMovies sees of that late, great Italian actress Anna Magnani (1908-1973), shown above and below, the better he appreciates her. As a kid who grew up only on the Hollywood stars and starlets, he initially found Ms Magnani both too real and not beautiful enough for his youthful taste. 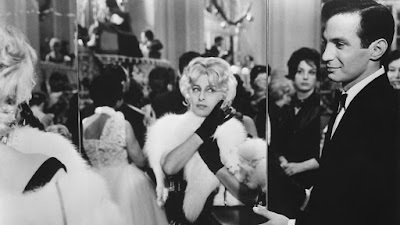 Fortunately that taste expanded and deepened once he discovered foreign films, New York City, and venues like the Film Society of Lincoln Center -- not coincidentally the place where the new and (from what TM can tell) most complete retrospective of Magnani's work to be seen here in the USA is soon to be shown. Truly, this is the kind of retrospective that make him sorry he had to leave New York. 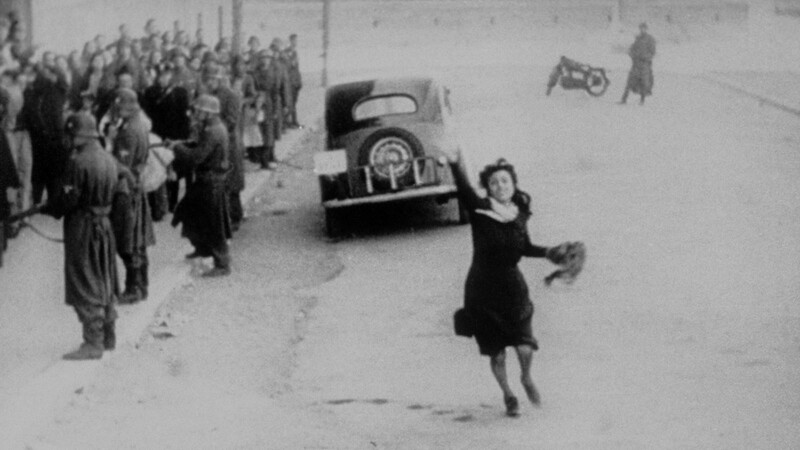 If you have never seen the great Magnani in a movie like Rome Open City (Roma città aperta), shown above, here's your chance. 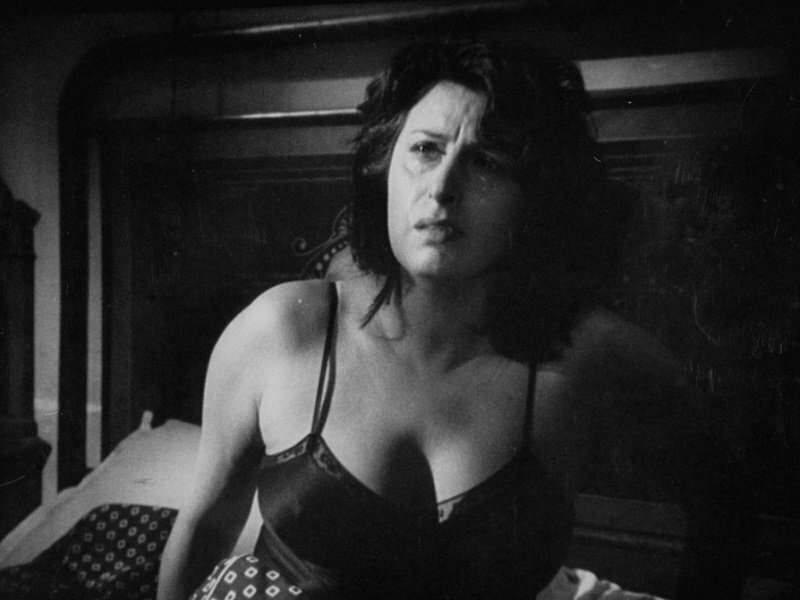 This one brought the actress to international attention, and its power remains complete, from Magnani's amazing performance right through to the film's shocking, memorable conclusion, featuring a scene you are unlikely to ever forget. The actress worked with some of the best directors in the world --from Rossellini to Renoir, Visconti to Lattuada, Monicelli to Fellini, Pasolini to De Sica. 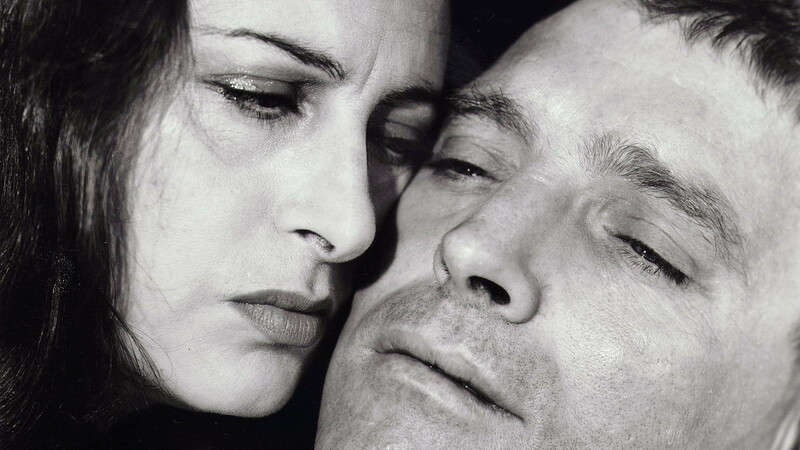 And when she worked with secondary (or less) directors here in the States -- say, Stanley Kramer or Daniel Mann, whose The Rose Tattoo is shown above: and, yes, that's Burt Lancaster on the right -- their work seemed, well, somehow elevated by hers. Perhaps watching her superb work helped them rise to the occasion. 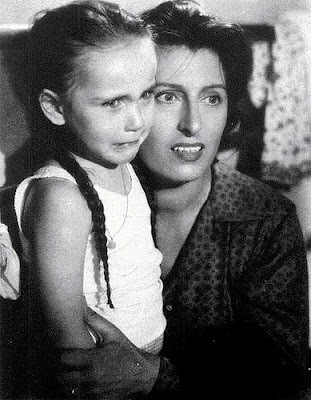 Now residing long distance here in Florida, I requested a number of movies for review, but the only one I was able to receive and view in DVD-screener format was Luchino Visconti's delightful comic melodrama BELLISSIMA, in which Magnani plays one of the great "stage mother" characters of all time, determined to get her little daughter into the movies. 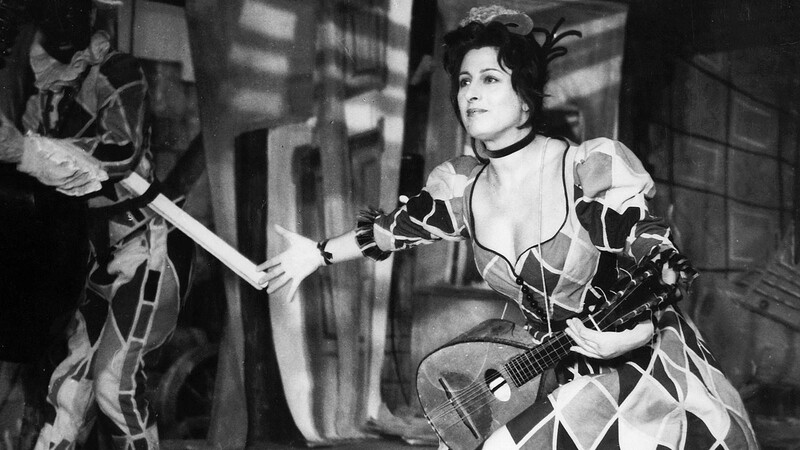 Watching this one, you can not help but understand how the director eventually came to stage operas -- so operatic and oh-my-god-Italian! is this movie. So lively and energetic (to put it mildly) are all the performances -- especially Magnani's -- that Bellissima eventually defines a certain part of the Italian character (specifically as seen, I suspect, post-World War II). And when, at last, the movie gives the actress a breather -- in the form of a scene in seclusion by the water, in which she finally drops her "front" and relaxes a bit, as she is seduced by the film's sleazy-but-glowing con man (Walter Chiari), something magical happens and we see a whole new character emerge. Granted, it's one that goes back into its armored shell soon after, but, still, what a scene this is! 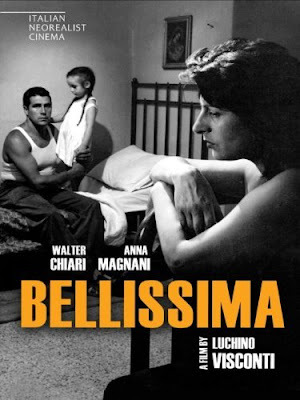 Bellissima is a treat not to be missed, as is the opportunity to see so many of this great actress' best performances in such a wide variety of film genres. Would that this were a traveling retrospective. 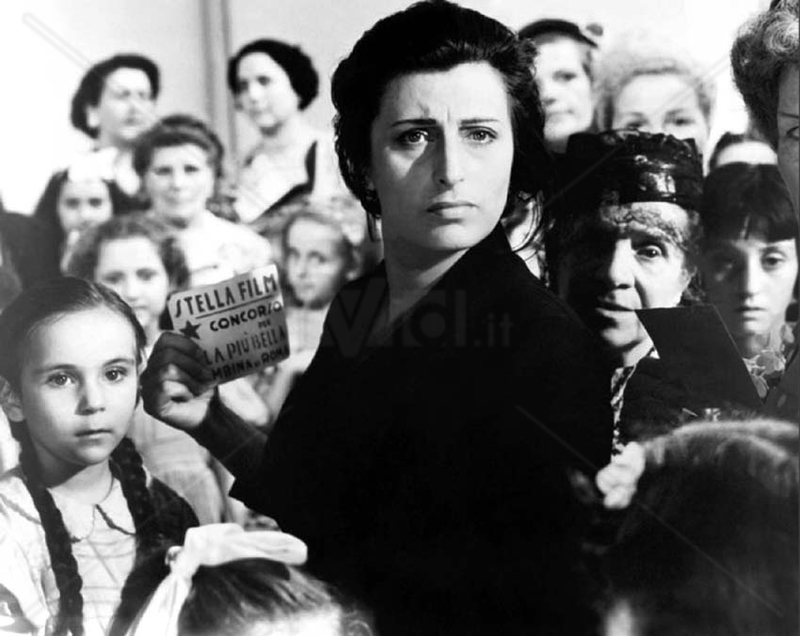 But unlike other, more stationery works of art, movie series such as the Magnani retro don't seem to travel much. When they're as good as this one, however, they ought to. Among the other films I'd highly recommend are Renoir's The Golden Coach (above), Pasolini's Mamma Roma, and William Dieterle's Volcano. But it's those smaller, lesser-known (here in the USA, anyway) works that I'd give up an aged, left testicle to view. Ah, well. Maybe someday. But if you live in the tri-state area, lucky you can actually get to this landmark series. 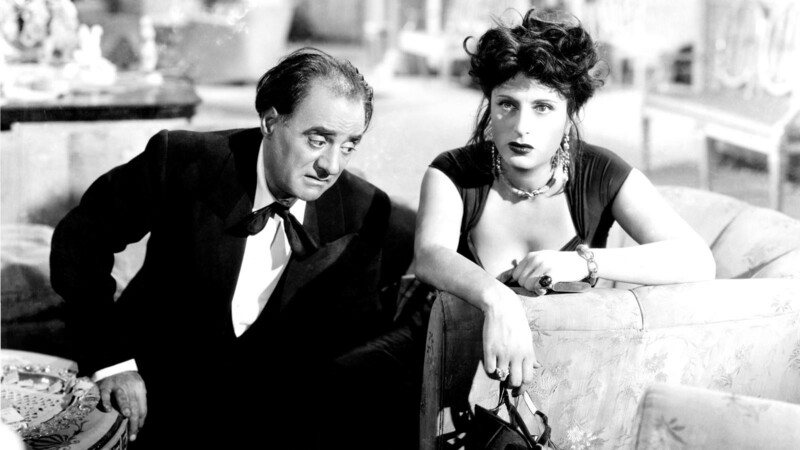 La Magnani makes it's 15-day debut at the Walter Reade Theater (my favorite place to watch a movie in all the world) this Wednesday, May 18, through Wednesday, June 1. Again, you can view the entire schedule of films by clicking here, and then clicking on each individual movie for the many further details.